Million Dollar Shootout Insurance covers the cost of your selected prize and American Hole 'n One assumes full responsibility should someone make the qualifying Hole In One. This is the most exciting shot of all at your golf at your tournament! The Million Dollar Shot is an unforgettable experience for golfers, courses and sponsors combined. Sponsors will flock to these events with the opportunity to put their names next to such large prize values, and golfers will return to the tournaments year after year in hopes of taking home the grand prize. As one of the most popular golf promotions, a shootout is a great addition to any golf tournament! Selected finalists participate in a Hole In One shootout following the tournament on the 18th green (or another designated green). If any of the finalists make a Hole In One, they win the grand prize! Select the hole and yardage for the shootout. Your prize is covered and your Million Dollar Shot sign will be delivered to an address of your choice. American Hole ‘n One offers all-inclusive Million Dollar Hole In One Insurance and Golf Shootout Insurance packages with free shipping. Pricing varies based on 3 key factors: number of eligible players, distance of the shot (in yards), and the cash value of your main prize. Need more information? Call (800) 822-2257 to speak with a Golf Excitement Specialist now! How Does Million Dollar Hole in One Insurance Work? It doesn’t get more exciting than a Million Dollar Shootout! 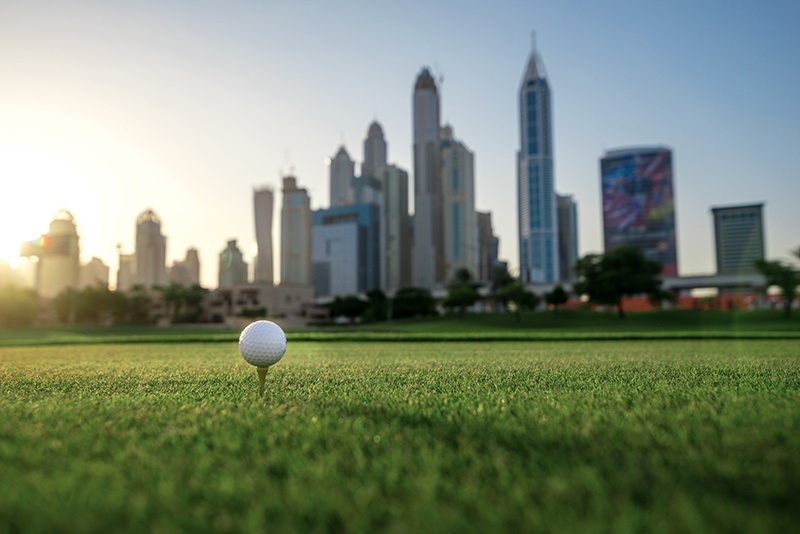 When you secure a policy for Million Dollar Hole in One Insurance, you’ll increase participation in your golf tournament and generate excitement in your community. Whether you are looking to raise funds for charity, or gain exposure for your tournament, the Million Dollar Shootout is the perfect way to set your tournament apart from others. With Million Dollar Hole in One Insurance, you can advertise a million dollar shootout at your next event, while American Hole ‘n One assumes all of the risk. If someone makes an ace during your million dollar shootout, we will pay for the prize. All you have to risk is a very small fee. There are a few different ways to hold a million dollar shootout at your next tournament. You can qualify a number of players by holding a raffle or having a closest to the pin contest. These finalists will have an opportunity to shoot for the million dollar prize. If you’d like to raise money for a charity of your choice, consider running a fundraiser million dollar shootout. Set up a hole with a 3 to 5 foot circle around it. Over a few days, you can charge a few dollars per shot in exchange for getting a chance to qualify for the million dollar shootout. Invite those who qualify back to the range for a chance to shoot for the million dollar prize. If any of the finalists make a hole in one -- they win the grand prize! The million dollar shootout is the perfect way to generate buzz in your community for your next golf tournament. Plus, sponsors will work for the opportunity to put their name next to such a large prize value, creating an additional revenue stream for your tournament. Our team of professionally trained Golf Excitement Specialists will walk you through the most comprehensive Million Dollar Hole In One Insurance program in just minutes. Simply give us a call or request a quote online. American Hole ‘n One is the nation’s leading provider of Million Dollar Hole in One Insurance. For just a small fee, you can get coverage for your contest, which is backed by the strength of A+ rated Great American Insurance Group. Our dedicated Golf Excitement Specialists are committed to providing the very best customer service experience to tournament organizers. We are available 24 hours a day to answer any questions you may have regarding your policy or process. Plus, with our full-service golf event signage services, we’re your one stop shop for all of your golf tournament needs! Create high-quality banners, signs, and more, which will leave a lasting impression on attendees, contestants, and sponsors alike. Trust American Hole ‘n One for your Million Dollar Shootout coverage. To get started, simply give us a call or get a fast and easy quote online.